Mérieux NutriSciences’ Labeling Compliance & Nutrition Services team has found RACC’s to be confusing so we wanted to help simplify it for you. See below for 5 ways to better determine the correct RACC. Let’s look at potato chips. 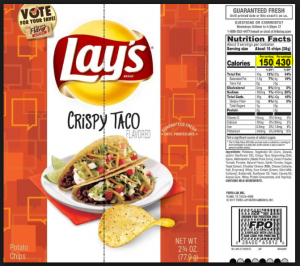 Potato chips fall into the snack category, with the reference amount for snacks being 30g. The table below is from the Code of Federal Regulations, which you can use to find the RACC category. Once you determine the category and reference amount it is time to determine the household measure. A visual household measure is mandatory as per 21CFR 101.9. To determine a household measure, weigh out the serving size based on your reference amount. Then look to the Label Statement to see how it should be listed on the label. For example, for potato chips, the reference amount is 30 grams but on the Label Statement, the reference amount is listed as 28 grams. Because the serving size is between 67 – 200% of the RACC, it is compliant to put on the label as 28g instead of 30g. Weigh out how many chips equal about 28 grams. 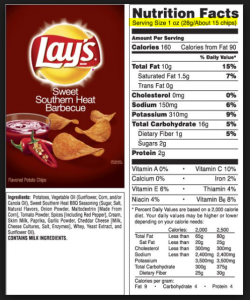 The serving size on your label will be 1 oz (28g/about 15 chips). For discrete units, the serving size must be 67-200% of the RACC to be compliant. Some examples of discrete units are muffins, sliced bread, and individually packaged products. The example below shows a compliant label since 28g is 93% of the reference amount. The first column will show the nutrition information based on the serving size and the second column will show the nutrition information for the entire package. Below is an example of a dual column. 5. Finally, add your serving size and household measure to the package. There you have it! Determining your serving size and household measure is as simple as 5 easy steps. Don’t forget to update to the 2016 Nutrition Facts Label by January 1, 2020. Mérieux NutriSciences has a Labeling Compliance & Nutrition Services team that can provide you with the support to update the 2016 Nutrition Facts Label and ensure your product is meeting federal regulations. 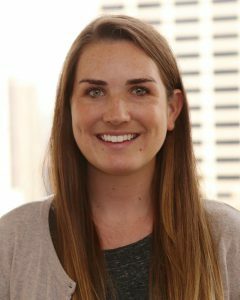 Molly Doyle is the Nutrition Compliance Specialist for Mérieux NutriSciences. Molly graduated from The Ohio State University with a Bachelors of Science in Human Ecology. She is a Registered Dietitian and previously worked as a home care dietitian in Chicago. Molly loves to travel and try out new recipes in her free time.